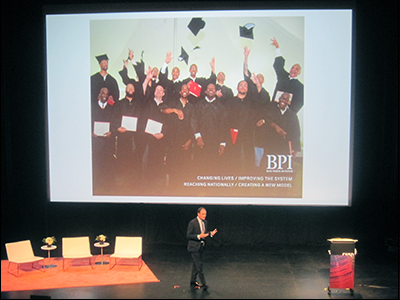 Iver’s opening provided a smooth segue to Julius Givens, founder of The Explorer Program, made for high-school students living in marginalized communities. His program provides an outlet for young people to activate their sensibilities through art. Street photography, for example, being a welcoming method. Participants are equipped with digital cameras and encouraged to look and scout for moments, harnessing their eyes with feelings, feeding their emerging worldviews with wonder. I easily imagined the pioneering urban photographer Vivian Maier joining the exploration—an act that Givens urged, for the demonstration of togetherness in his program, through the lens and tools of art, reinforces its influence elsewhere. Givens’ model contributes to the “A” in the fields constituting STEAM: Science, Technology, Engineering, Art and Mathematics. 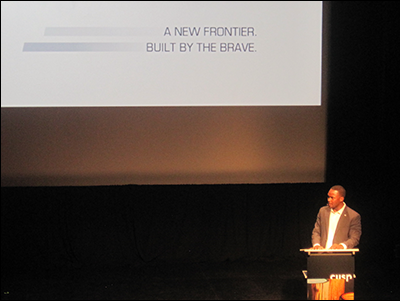 The first objective of the The Lewis and Clark Expedition was to explore and map the western half of the U.S. That bravery, will and tenacity to venture into the great wide open is what Givens is passing along to his program’s young participants—forging their path. Thomas addressed the wonder of mortality. Being the creator of a national touring “non-fiction theater” roadshow called the “Age of Disruption,” I could imagine him collaborating with comedian C.K. Louis, whose views on life and living wreak of intuition. Such as his affirmation: “‘I’m bored’ is a useless thing to say…The fact that you’re alive is amazing, so you don’t get to say ‘I’m bored.’” This provokes a jabbing note to self. Through his audio message, Ivers delivered the same note regarding age—the resounding note of one’s mortality. Thomas straight-up said, “Immortality robs us of all of our lives.” Painfully obvious with that first part of his statement, at the same time, positively profound with the second part of his statement. People don’t live forever, but the story (to borrow Thomas’ noun) they tell with their lives lives on. Immortality can be viewed as short-term thinking and this comes with a short-term fuse in attitude, resulting in random acts of short-term temper, short-term patience, ultimately, short-term civility. Scary version, these realities are also intended. They make life that much more short-lived. “We die, but the energy we give off can’t be destroyed. It goes on forever.” New Jersey’s U.S. Senator Cory Booker points to a quality of effort that leaves one’s place in the world a little better. 2016’s Cusp presenters demonstrated yet again that wonder takes on all shapes and sizes. Wonder scales! 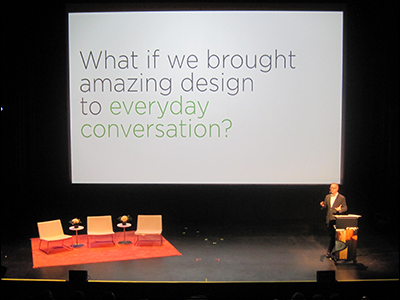 Regarding big business, Chris Kay, Chief Innovation Officer of Humana, finds value in having conversations made good with empathy. His essential conversation/equation is “Empathy = Oxygen.” The opening principles and methods of improv were promoted by Gary Hirsch, a facilitator of collaboration. To him, conversations are “magical collisions” marked by co-creation—to create in a non-silo manner, that is, to echo the previous speaker Givens emphasis: Together. 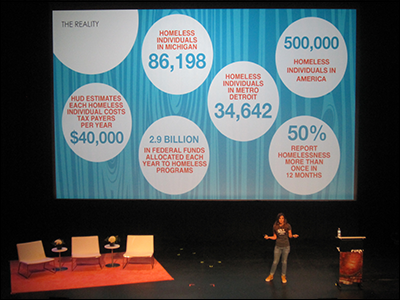 Treger Strasberg founded non-profit Humble Design to help families transitioning out of homeless shelters into homes, fully furnished and filled with love and dignity—Strasberg’s two driving reasons to become a symbol of enduring compassion. 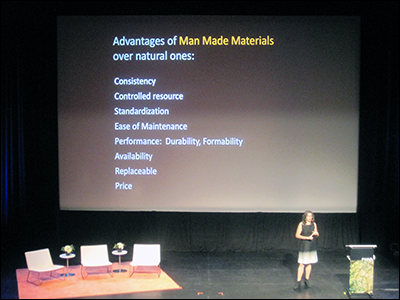 Design historian and materials specialist Grace Jeffers enlightened the audience about considering the authenticity of materials. One hundred percent natural is the popular demand, but at what cost to our one hundred percent natural environment. The invention of substitute, a la “fake,” materials have a role in preserving our planet’s increasingly endangered forests and wildlife species. Concerning prejudices everywhere, Runni Abergele co-founded the Human Library, a global initiative where anyone can borrow a book—a physical one! As he put it, “We publish people” such as victims of abuse, recovered addicts, homemakers, teachers, nudists and more representing the range of human experience. Self-awareness can begin with human-to-human interaction, taking positive advantage of the fact that humans are dialogic creatures. Muralist and self-dubbed wall fetishist, Lauren Asta, took the blank-canvas engagement to task with murals across the U.S., one wall at a time. 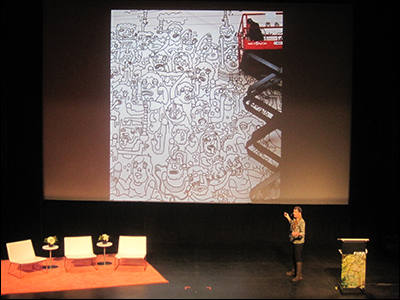 Recalling the pioneering wall art of Keith Haring who said, “I am becoming much more aware of movement. The importance of movement is intensified when a painting becomes a performance. The performance (the act of painting) becomes as important as the resulting painting.” Asta’s live drawings constitute a performance that begets performance, with people taking selfies in front of her work and sometimes, with Hirsch’s emphasis on co-creation in mind, where the public picks up a paint brush and adds color (in more ways than one) to the composition. 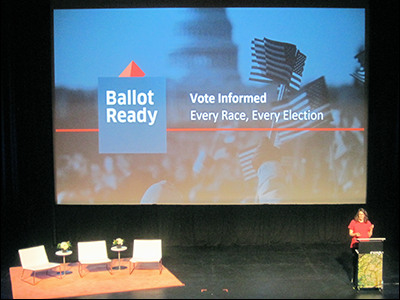 Regarding politics, Alex Niemczewski collaborated to launch U.S. voting information guide BallotReady to help turn citizenry into an informed one, especially during election time. Making data useful, actually turning it into potentially useful information, is human civilization’s constant goal. Sandee Kastrul is the Co-Founder and President of i.c.stars, a rigorous development and leadership training program focused on empowering low-income adults. Her nonprofit organization helps steer and sharpen a technology-based workforce and, most of all, galvanizes community leadership. 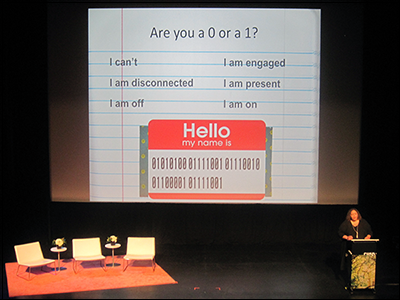 In her presentation, she asked the audience: “Are you a zero or a one?” This exceeds a binary relation and strikes at an essential task of human living. In an explicit way, Kastrul communed with the author Stephen King, whose novella “Rita Hayworth and Shawshank Redemption” (1982) has a provocative line that echoes the ultimate binary choice: “Either get busy living or get busy dying.” Having met Kastrul at my first Cusp Conference experience in 2013 and interviewed her for my series celebrating Makers, it was no surprise to see her on the Cusp stage. 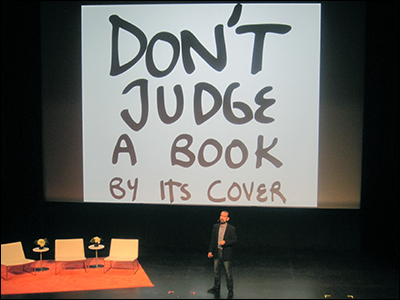 Since the Cusp Conference’s debut in 2008, awesome human beings have taken the stage to share their mission—their story, of which each is a hero. What was evident again at this year’s ninth gathering: The audience left, possessed with a wholehearted offering, two days brimming with inspiration from an ambitiously eclectic assortment of presenters. Each attendee left nourished. 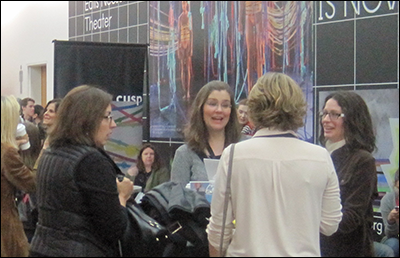 Big thanks: to Multiple, Inc., and the volunteers who made Cusp Conference happen in 2016; to the Museum of Contemporary Art, in Chicago, for hosting. 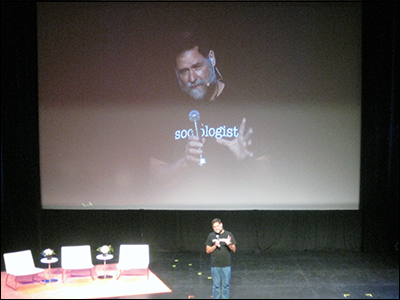 More of my coverage of Cusp: go to my write-up and photos of the 8th Cusp Conference in 2015, write-up and photos of the 7th Cusp Conference in 2014, plus my write-up and photos of the 6th Cusp Conference in 2013.